Truthfully this would have to be the first time I heard of them, so I didn’t know what to expect but let me tell you, I love it, wasn’t disappointed at all. Their group and album concepts are school based obviously but maybe because of that concept or the fact the oldest member, Jin, is still younger than me by a couple months but I feel super old and I’m just 21! But aside from that I really like this album. I have been listening to their songs for three days and I had a hard time picking out which songs stayed with me because they were all good. Their songs made me groove to it once they started, from beginning to end. This album has 10 songs including their “Intro: Skool Luv Affair,” Skit: Soulmate” and “Outro: Purpose.” The genres are pop, dance and hip hop and it works so well with these boys voices. The songs I like the most would have to be “Intro: Luv Affair,” “Boy in Luv,” “Tomorrow” and “Jump.” And not a surprise they’re all hip hop songs. “Intro: Skool Luv Affair” is one of my favorites because it has three different genre in one song, all a types of hip hop but with a different twist to it; from a ballad, pop and dance styles. What makes this album different from many others though is that they have a Skit for one of the tracks. The only other artists I know who does that are Epik High and San-E. Which isn’t a bad idea at all, it’s different and show their personalities a bit more. 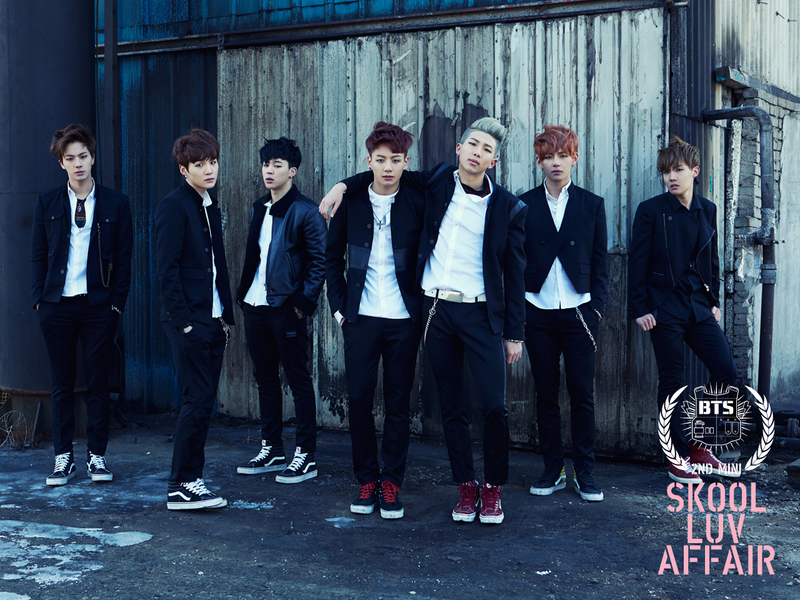 For those who haven’t seen their “Boy in Luv” MV yet, here you go. When watching the MV, I didn’t think much of it because the concept has been done so many times, but I guess I’m fine with that because I like the song. My only complaint though is I wish they were more clear with the story line. I can already tell whats the main plot with the song title but why that girl, are all the boys after her or only two, was that restroom scene with those two necessary, why are they so rough with her, who did she end up with? QT Takes a Valentines Day Quiz!